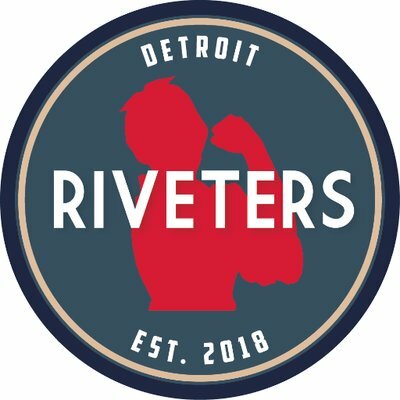 The Riveters is Michigan's semi-professional women's ultimate team, which was loosely affiliated with the AUDL Detroit team (Mechanix). 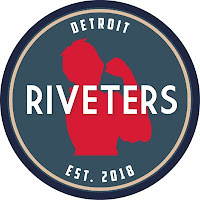 Detroit Riveters began their season on April 21 and played 5 games during the summer 2018. When the Mechanix leadership announced that they would be the first AUDL team to support a women's team, many female players in the Detroit-area community were ecstatic. This development provided an additional opportunity for high-level play for female-identifying players, as well as visibility on a large stage. Mechanix leadership, with the best of intentions, made many promises about equal treatment and support before the season began, but were unable to meet the agreements put forth when the team was created, including player compensation, game promotion, or basic organizational support. As of the date this statement was published, no Riveters players have been paid. No Athletic Trainers or Medical Resources: There were no trainers or designated medical professionals available for the women’s games. Two Riveters players suffered serious injuries during the game — a concussion and a torn ACL — but no trained medical professionals were on site to respond. No Insurance for Accident Coverage: The host team"s owners did not secure accident coverage insurance for the women’s games featured at this event, so the women’s division players had no support for the injuries they sustained there, while the men’s games at the same event did. In the months since that game, the management of both AUDL teams involved have shut down and gaslighted Riveters attempts to surface information about insurance coverage and discuss these inequities. We agreed to play for the Riveters under the understanding that we would be paid and insured, but these basic expectations were not met. Our experience demonstrated the need for many internal changes to our relationship with the Mechanix, as well as an overarching league structure and governing body. Our relationship with the Mechanix is by no means representative of professional women's ultimate, but we feel it is important to share our experiences with the community. Women's ultimate is too important to be treated as an afterthought. While the Riveters appreciate and are grateful for the contributions of the Mechanix leadership, it is clear that the past season's model is unsustainable. For the upcoming professional seasons, the Riveters plan to pursue equity and playing opportunities on our own terms. Note: When provided a preview of this letter, the Mechanix leadership revoked Riveter players' access to their team website and social media accounts, prompting the creation of this Medium page.